What’s the correct compensation for this Delta flight delay? John Esser’s recent return flight north “headed south,” so to speak. He’d like the airline to make things right. Esser was flying from Los Angeles to Detroit on Delta flight 1806 on Sept. 18. “This flight was specifically chosen due to an obligation I had that evening at my son’s school at 7 p.m.,” he says. Needless to say, he didn’t make it. Although the flight was scheduled to leave at 9:30 a.m., a series of mechanical delays kept the plane waiting at the gate several hours before it was finally canceled. Posted in Should I Take The Case? 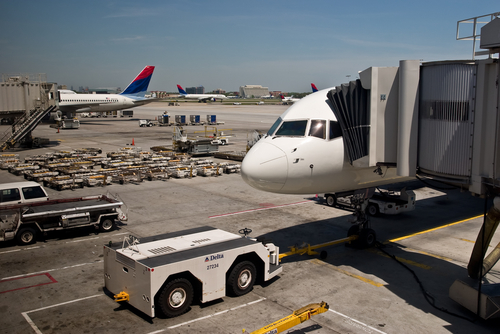 Tagged DELAY, DELTA AIR LINES, FLIGHT, MECHANICAL113 Comments on What’s the correct compensation for this Delta flight delay? I‘ve been weighing this case for several months, and still can’t decide what to do. Maybe you can help. It comes to me by way of Jonathan Cook, who was a passenger on US Airways flight 1018 from Philadelphia and St. Thomas on Dec. 30, 2009. He represents a group of 80 passengers who were delayed almost a full day under mysterious circumstances. They want to be compensated by the airline, which insists it owes them nothing because it claims the entire delay was weather-related. This case first was brought to my attention late last year and Cook has written to me several times since then. Let’s run through the highlights.